Senha (Sanandaj) is the capital of Kurdistan province in northwest Persia. 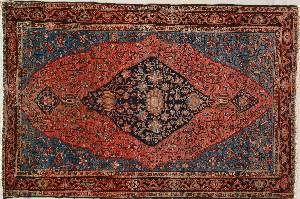 From the early 19th century onward, the town specialized in finely knotted rugs (and a few larger carpets) with brisk, very short piles, and flexible handles. 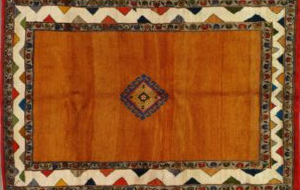 The patterns were both all over and centralized. 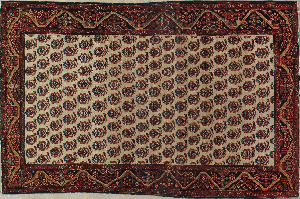 The Herati and Boteh designs were particularly popular. 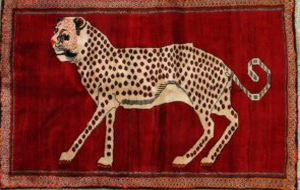 The thin, fine character of the rugs, often woven on silk warps, made them especially prized among Persian upper class clients. 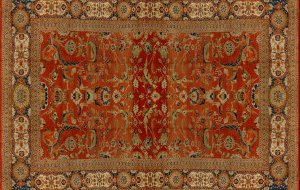 Production was never very large and the rugs have always been dear. 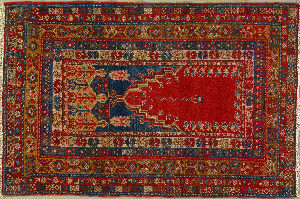 Kilim (slit-tapestry) rugs have also been woven in Senha, on cotton, wool or silk, almost all in delicate repeating patterns, often with layered medallions. Again, the sizes are small and five feet by seven feet is about the maximum. 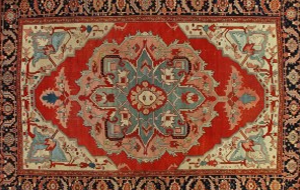 Modern production is very small and examples rarely appear in the new rug market in America. 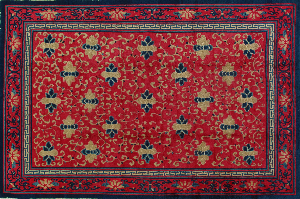 Antique pieces of merit bring very substantial prices on the auction market and the rugs are highly collectible.